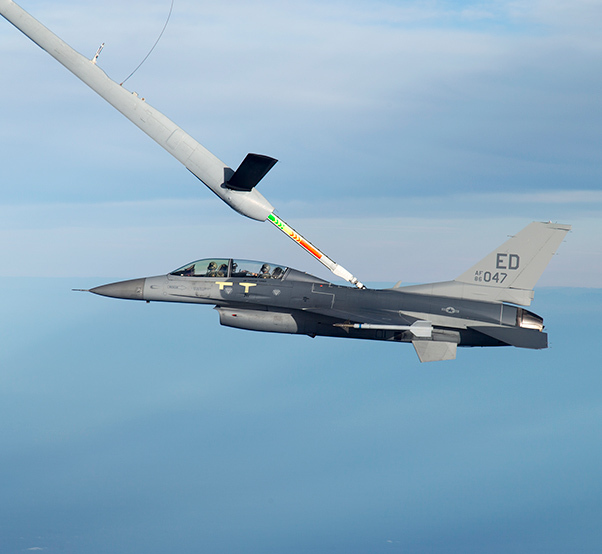 The first flight in the series of tests was Dec. 3 when the KC-30 refueled an Edwards F-16. The coalition test effort will satisfy the testing required to certify Australian, United Arab Emirates and Italian tankers to refuel USAF F-16s, F-15s, B-1s and A-10s using their respective booms. “It’s never been done before with foreign tankers and it gives us capability for the coalition effort. We don’t have to rely (solely) on U.S. tankers to support our aircraft,” said Adrian Martinez, 418th Flight Test Squadron Aerial Refueling Integrated Test Team lead, senior project manager. 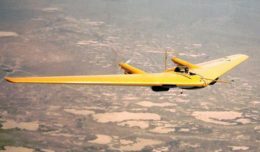 The test team will check for qualities such as fuel pressure surges, stability of the aircraft being refueled and the handling qualities of the boom for a full Category 3 Certification. “This testing is all about a tanker and receiver pair,” said Colin White, Australian KC-30A Aerial Refueling clearance manager. The initial flight was flown with a clean wing configuration. No weapons or tanks were loaded aboard the F-16 receiver to execute the first fuel transfer test points. White stated that the first test was critical because it established the ability for the F-16 to refuel from the KC-30 via boom without relying on support tankers such as the KC-135 and KC-10 in future tests. “And then we’ll go and we’ll bomb it up and we’ll have symmetrical loads and that’s a different receiver configuration,” said White. The KC-30 will continue testing with the F-16 until Dec. 18, then break for the holidays. The RAAF team and their KC-30 will return to Edwards in the New Year and finish up the first phase of testing in February. “Early next year we are planning to execute a portion of the aerial refueling testing that requires an instrumented C-17. The C-17 to be used is one stationed here at Edwards. After C-17 testing is complete, aerial refueling test with a U.S. Air Force F-15 will follow,” said Martinez. In spring of 2016 an Italian 767 aerial refueling tanker will come to Edwards to continue the coalition effort, paired with an F-15 and F-16. Then the United Arab Emirates KC-30 will conduct the last leg of testing with a B-1 and an A-10 in the later summer months. “The [Australian] KC-30 is based on the Airbus A330 commercial aircraft that’s been militarized, turned into a tanker, and for us we’ve also got 270 passenger seats in the aircraft,” said White. The KC-30 is a Multi Role Tanker Transport aircraft can be used for passengers, cargo or as a tanker. 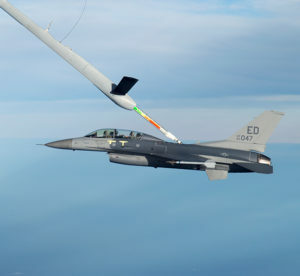 According to White, the RAAF team began working towards refueling certifications in 2009 with more focus on boom certification during 2011 to 2013. From 2011 to 2014, they also completed hose and drogue testing that allowed the KC-30 to refuel Royal Australian Navy F-18s. The boom on the KC-30 is a fly-by-wire system. Unlike legacy tankers such as the KC-135 and KC-10, the KC-30 Aerial Refueling Boom System (ARBS) is software driven. Instead of the boom operator lying in a pod looking out a window, it’s operated from the flight deck by aerial refueling officers using a series of cameras and 3D glasses for depth perception. “The U.S. Air Force is very interested in the boom capability, all their receivers are boom refueled,” said White. During September and October 2015, the RAAF team completed seven weeks of certification testing for the F-35 Joint Strike Fighter. Though the testing was not part of the coalition effort, it did provide an integrated test team model for the future testing efforts to follow. The tests in the coming months will involve members of the 418th Flight Test Squadron and the 416th FLTS in a supporting role with the F-16. Eglin AFB, Fla., will supply the F-15E and instrument both the F-15E and the A-10. The A-10 will come from Moody AFB, Ga., and operate out of Davis-Monthan AFB, Ariz., while the F-15E will operate out of Nellis AFB, Nev.
Aerial refueling testing with the other receivers will be executed in Edwards air space and over the Sea Test Range off the coast of California. The Coalition Tanker Aerial Refueling Certification Effort was signed into effect June 19 and is expected to be completed by the end of Fiscal Year 2016.